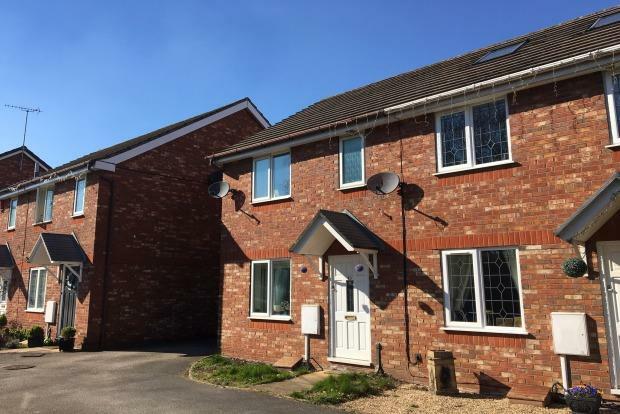 2 Bedroom House To Rent in Uttoxeter for £525 per Calendar Month. Entrance to hall with stairs to the first floor and door to the lounge which is carpeted and has a door leading to the kitchen/diner which is fitted with wood effect wall and base units, oven, hob and extractor fan. Under stairs storage cupboard and doors opening onto the rear yard. To the first floor are the bedrooms, the master bedroom has built in wardrobes and an en-suite shower room. The bathroom has a three piece suite. Outside the property to the rear is a small fenced low maintenance garden.